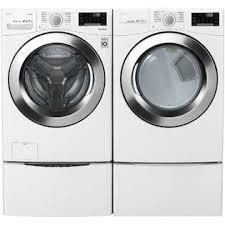 This Top Load Washer by GE was designed to give even the most soiled clothing a thorough cleaning. 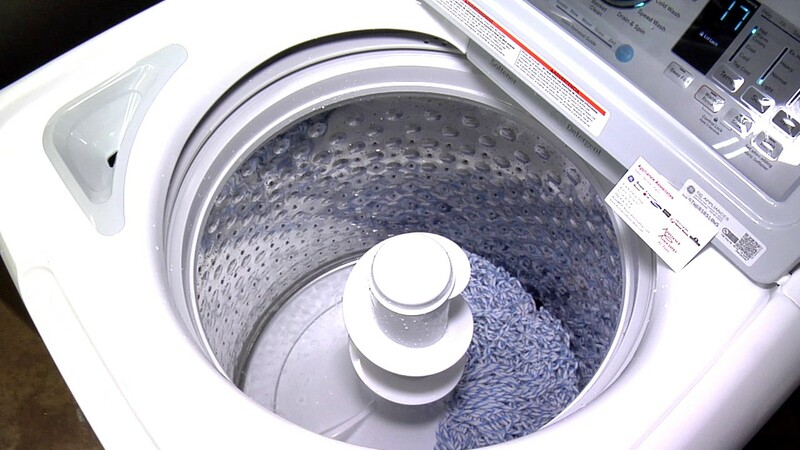 The Dual Action Agitator uses reversing wash action that provides two levels of movement for a thorough cleaning. The Stain Removal Guide provides 5 pre-programmed settings to remove 5 common stains (blood, tomato, wine, dirt and grass) that are stubborn to clean. 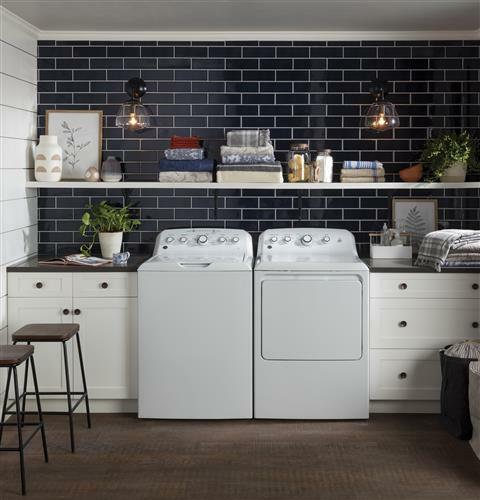 The sanitize cycle will remove 99.9% of bacteria using an Oxi additive boost, without harming the look or feel of fabrics. 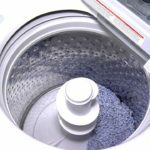 The deep rinse cycle will ensure clothes are soap residue and fabric softener free. 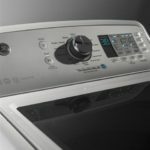 Each load of laundry is different, and this washer provides 14 wash cycles and 6 water temperature options to get the ideal setting for each of them. The washer also sports a soft-close glass lid, a modern look specifically engineered to close gently every time.